Coming from a line of artists and movers and currently a BFA candidate and member of the UA Dance Ensemble at the renowned School of Dance at The University of Arizona, Reed Neuser, a distinguished alumna of Ballet Rincon, started dancing at age three, training in classical ballet, jazz, tap, and contemporary. She was a founding member of the Ballet Rincon Performance Ensemble, an elite pre-professional performance dance troupe. While in the Ballet Rincon Performance Ensemble, Miss Neuser premiered lead roles in multiple works, including the Waltz Pas de Deux from Les Sylphides, and Nocturnal Currents, a site specific collaboration between Ballet Rincon and the Tucson Museum of Art. She was featured in annual productions, performing the roles of the Sugar Plum Fairy in The Nutcracker and Odette in Swan Lake. Other roles have included Aggie (Step-sister) in Cinderella and Lady Florine in Sleeping Beauty. With the UA Dance Ensemble, she has performed in works by Amy Ernst, and has appeared at Centennial Hall with the Martha Graham Dance Company in Martha Graham’s Panorama. In addition to the training she received from Ballet Rincon, Miss Neuser has attended reputable summer dance programs including the Boston Ballet Summer Intensive, University of Utah Ballet Summer Intensive, Perry-Mansfield Performing Arts Camp, and the Bates Dance Festival. Through these experiences, she received the opportunity to work with profound dancers, teachers, and choreographers such as former Ballet West Principal Maggie Wright-Tesch, Hubbard Street Alumni Stephanie Martinez, and Susan Jaffe, former ballet dancer and ballet mistress of American Ballet Theatre. A natural teacher, Miss Neuser began as an assistant to BR Faculty in her high school years. 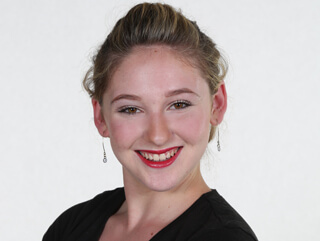 She is excited to be on the teaching staff here at Ballet Rincon and inspires the next generation of dancers through her love of dancing and people.